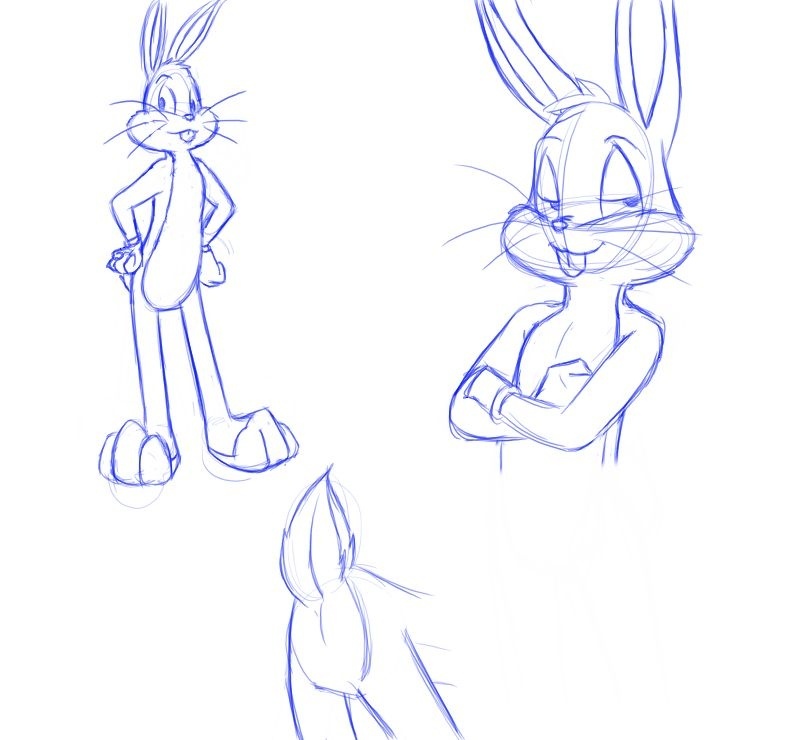 Just a sketch of Bugs Bunny. This is my first time trying to draw him. I still need lots of work, but I think I did ok for my first time. I have a huge problem with drawing skinny, and lanky. I also can't seem to get his lower region down. His crotch and belly are difficult to do for me. He's a sly one, isn't he. Nice take on the character.